found among the Baga people of Guinea. large raffia costume. The stylised female form represents motherhood and femininity, the pendant breasts indicating the nursing of many children. 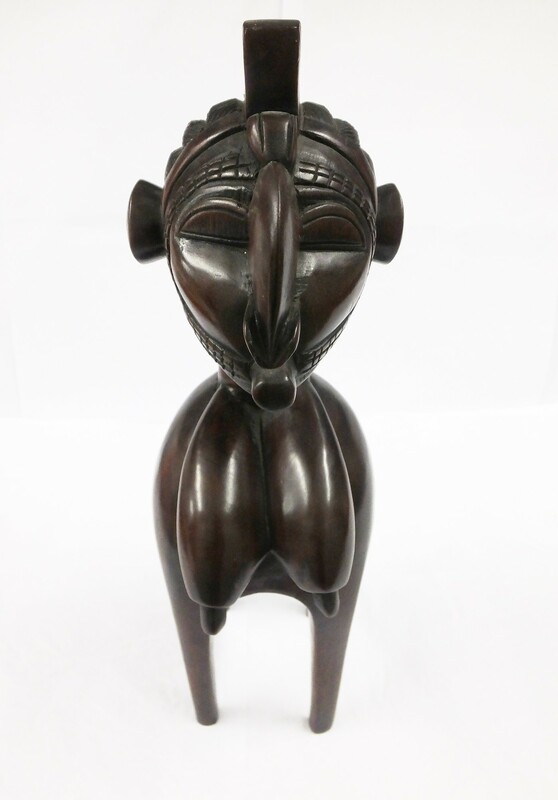 This is a reduced size version of a Nimba mask. The figure is a mature woman but she is used in ceremonies relating to agricultural fertility rather than human fertility.